With all of the cold weather we’ve been having lately in Baltimore, I’ve been in the mood for warming, grounding comfort foods. Apples are one of those foods that are perfect this time of year, and baking them brings out the fullness of their flavor, especially when paired with flavors like cinnamon and nutmeg. 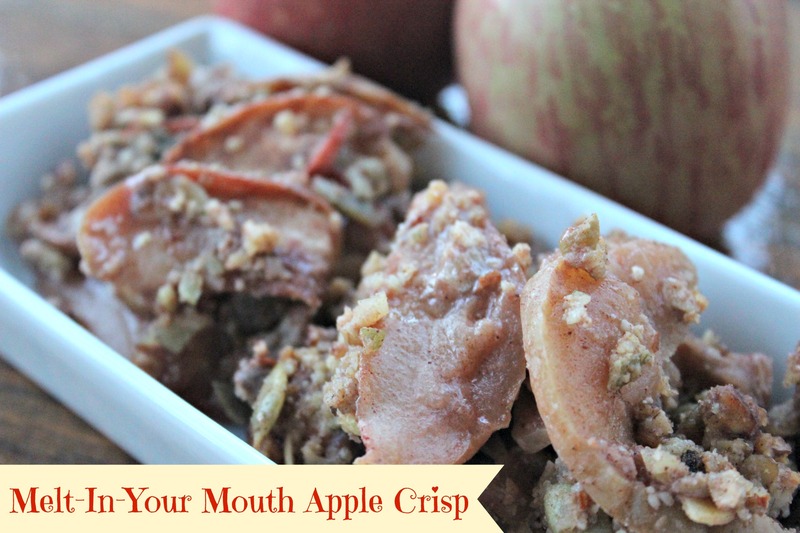 Most fruit crisps are made with gluten-containing flour and refined sugar, so I wanted to upgrade them by sharing this recipe with you. 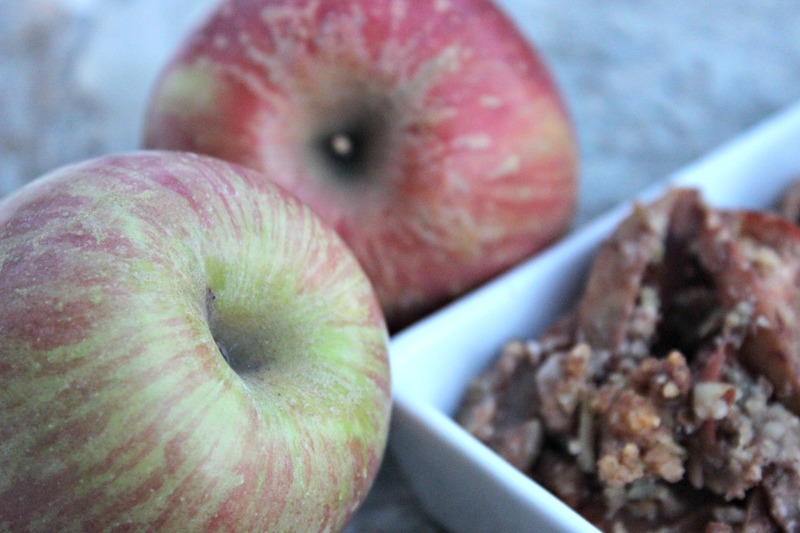 This apple crisp melts in your mouth, and it’s gluten-free, paleo, vegan and refined sugar-free. Set apples in a bowl of lemon water until ready to use, so the apples don’t brown. Once all apples are sliced, drain apples in a colander and put them in a large mixing bowl. Mix cinnamon, nutmeg, allspice and arrowroot starch in a small bowl. Sprinkle evenly on top of apples. Then pour maple syrup and 1/4 cup lemon juice on apples, tossing evenly to coat. Pour apples into an ovenproof 9 x 13 baking dish and sprinkle a few clumps of coconut oil on top. Cover with foil and bake for 45-60 minutes or until apples are fork tender. Meanwhile, place almond meal, nuts/seeds, cinnamon, and salt, in a food processor and process until combined. Place topping in a bowl and add the maple syrup and coconut oil. Massage everything with your fingers until it starts to form a crumble. Remove baked apples from oven and remove foil. Sprinkle crumble evenly across the top, covering the apples. Return dish to oven and bake uncovered for another 30-35 minutes or until the top is golden brown and the apples are soft when pierced with a fork. In your recipe, is almond meal the same thing as grounded up almonds? Is anything else added? Hi, Steve! Yes, it’s just ground up almonds. You can put almonds in a food processor and grind them up until they reach a fine meal consistency and just use that. Hope that helps!